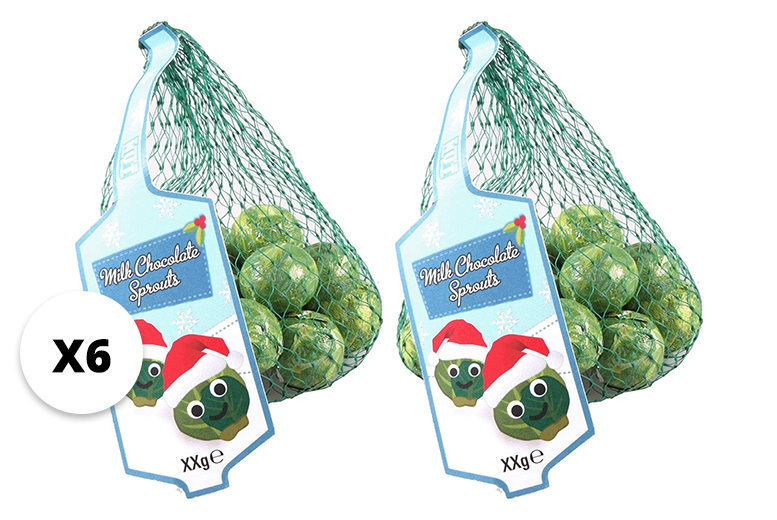 Get six packs of chocolate Brussel sprouts. Decadent seasonal treat made from milk chocolate. Each 75g pack contains approx. Realistic-looking sprouts with delicate leaves and vivid green colouring. Love ‘em or loathe ‘em, it’s the only way to eat your greens this Christmas. A novelty gift for difficult-to-please relatives.